A quick and easy way to ensure your food remains fresh and tasty for longer. 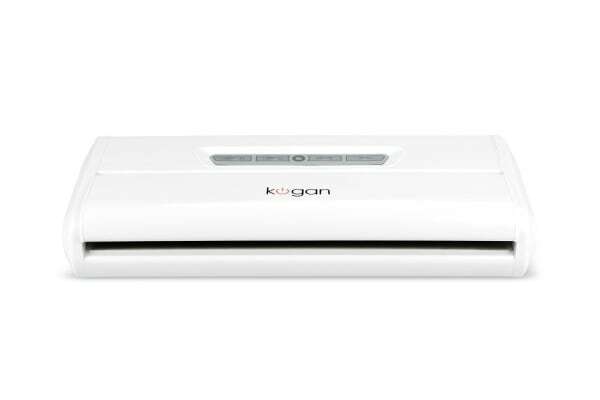 The Kogan Food Vacuum Sealer is a compact, one-touch device that seals your food and removes the air from the packaging, keeping it fresh, healthy and tasty for much longer than regular packaging would allow. By removing the oxygen from the packaging, you inhibit the growth of bacteria, mould and yeast, all of which contribute to food losing its fresh flavour and eventually becoming inedible. Food that is vacuum sealed can be kept and enjoyed at a later date. 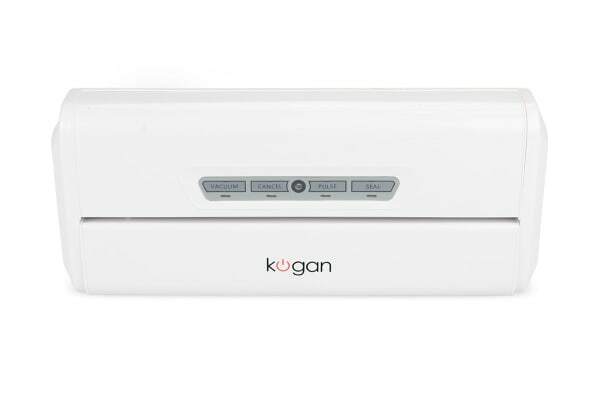 What’s more, the Kogan Food Vacuum Sealer is perfect for Sous Vide cooking, so you always have a fresh meal on hand! The vacuum sealer looks okay and works well and even with postage is good value. 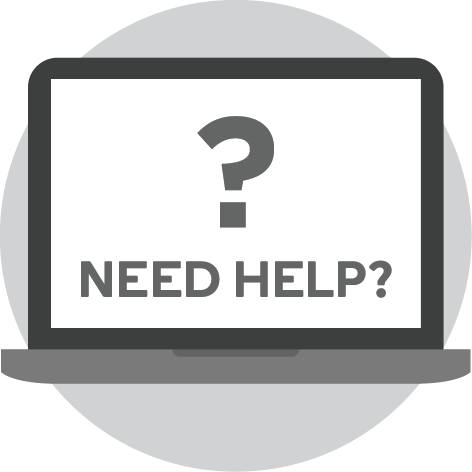 Our previous unit was carried around Australia for 5 years in our caravan without a problem.